Welcome to the Northfleet North 'Our Bigger Story' website. This is part of the multi media evaluation of 15 Big Local areas in England. The website is an opportunity to follow what is changing in Northfleet North as a result of Big Local over a ten year period. The aim of the website is to share the learning from everything that is happening in Northfleet North with other Big Local areas and highlight what works in communities with a wider audience of practitioners and policy makers. This film is a record on the Northfleet Big Local Fun Day in August 2018.This is one of two Fun Days Big Local organises each year to promote the work of the partnership and community groups active in the community. In addition the day aims to bring together people from the different estates in Northfleet to tackle isolation and build local networks. This film is a record of the opening of the Northfleet Central Community Hub in October 2017. 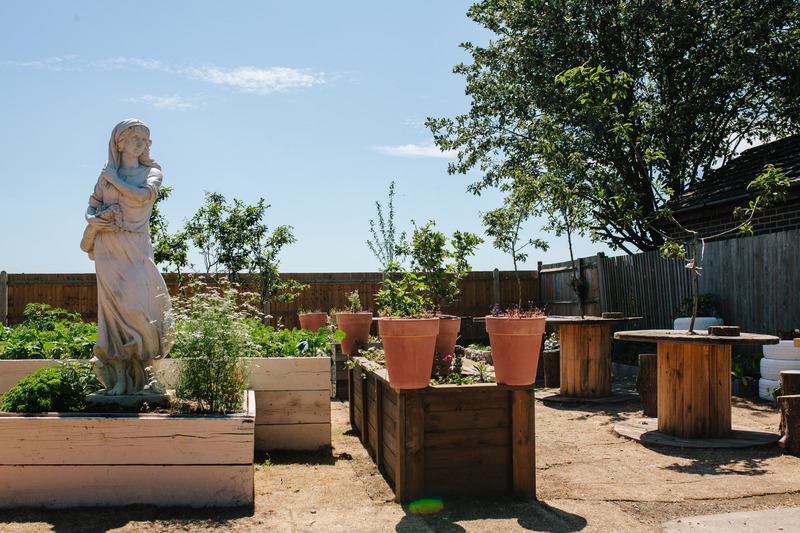 The Hub is a Northfleet Big Local initiative which has saved a local resource for the community. 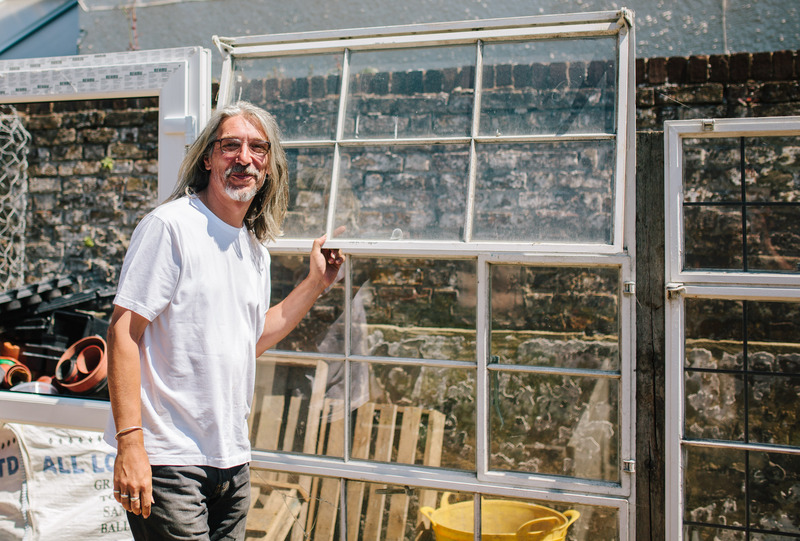 In the film, local residents, Big Local partners and delivery agencies talk about how the Hub came about and their hopes for it as a community venue. The aim has been both to protect existing local activities and services such as the Foodbank and groups for young people, whilst developing new inititiatives. 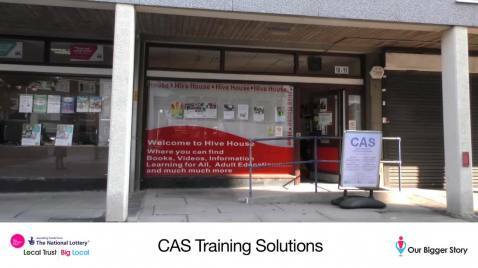 This film records the changes being brought about – for those using services, volunteers and the wider community – by three projects supported by Nothfleet Big Local: CAS Training Solutions, Hive Hope Foodbank and the No Walls Garden. After local consultations, North Northfleet agreed a refreshed plan for year 3 in February 2016. This identifies the continuation of funding for projects addressing unemployment locally, (including the No Walls Garden ‘Shed’ training initiative0 and ongoing support for community groups to access venues free of charge. New initiatives include the Community Café, a new initiatives fund and promoting access to four community halls in the area. 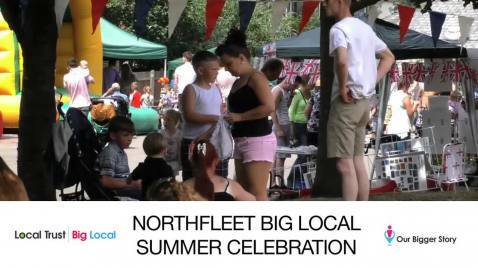 The North Northfleet summer celebration was held on 18th July 2015. The aim of the day was to publicise Big Local and to celebrate its successes over the year. It was also an opportunity for those accessing Big Local services and events to reflect on the difference Big Local is making in the area and their homes for the future. 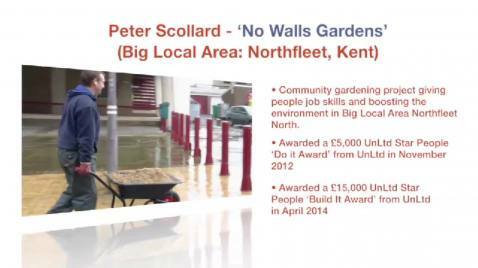 Peter Scollard talks about his social enterprise No Walls Garden. Peter is an UnLtd Star People Award Winner. Star People is a partnership between UnLtd and Local Trust offering Awards from £500 for people living in Big Local Areas. 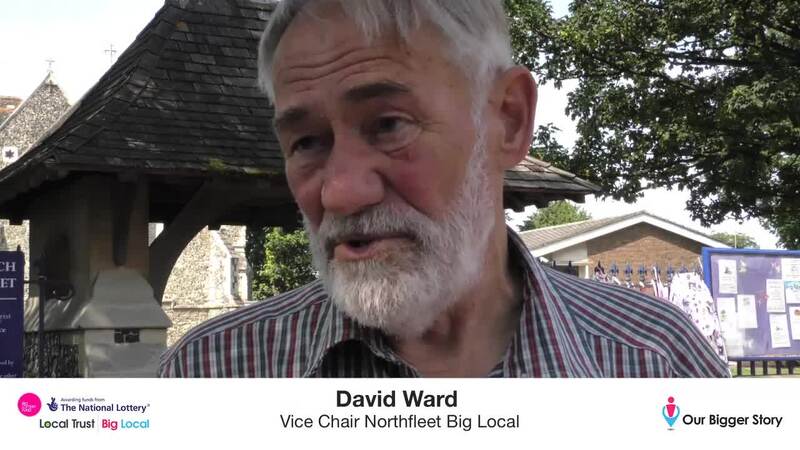 North Northfleet’s Plan outlines Big Local’s aspirations for the area. 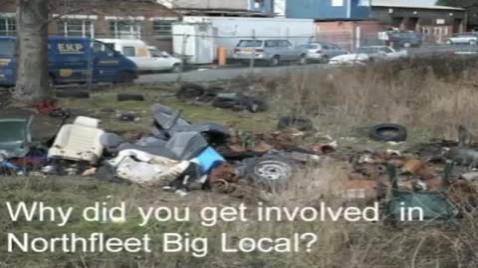 Against Big Local outcomes, the Plan identifies the response to needs identified by the local community. These include training and advice for access to employment, developing young people’s voice, environmental improvements and activities to build community cohesion. The plan also highlights two major initiatives that will have an impact on North Northfleet: the development of Ebbsfleet Garden City and Paramount. 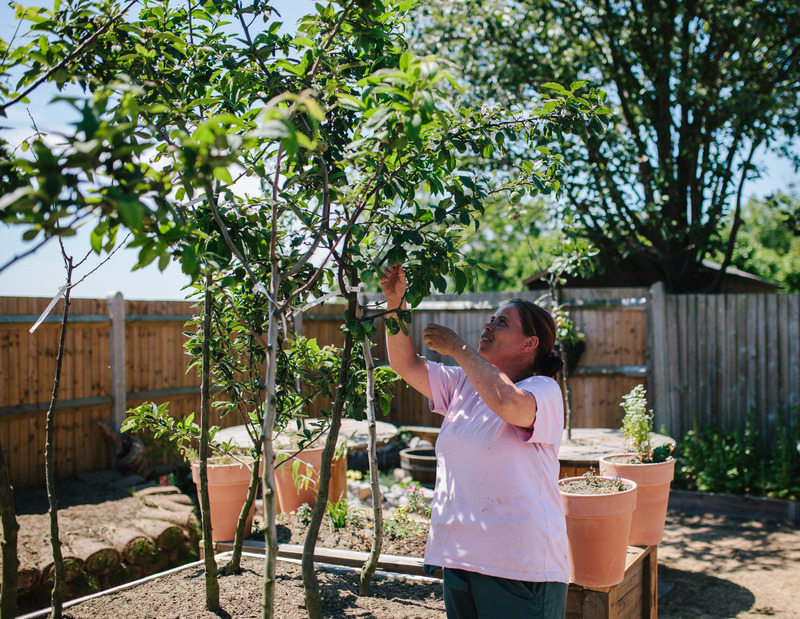 Big Local's pilot projects have been designed to provide areas with support and advice. This equips areas with skills to develop and implement interventions that can turn the local environment around, one step at a time. 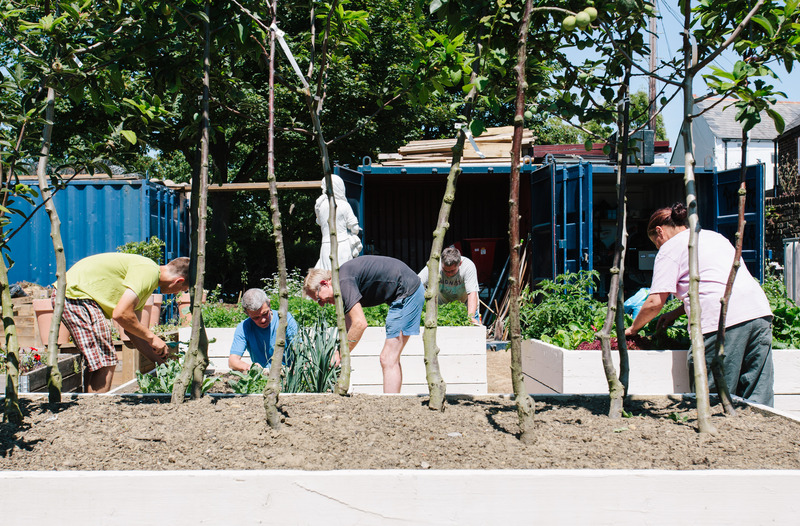 The pilot projects provide targeted support to areas on a wide range of green space projects. 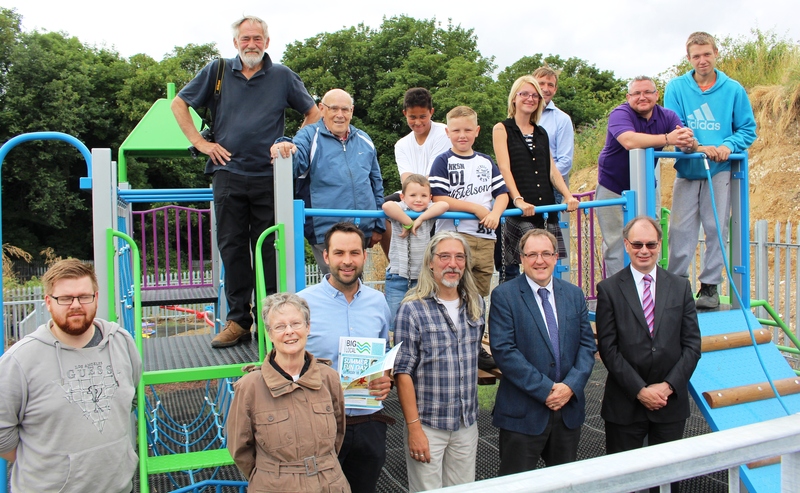 Northfleet is Big Local's first People, Place and Environmental pilot project case study.